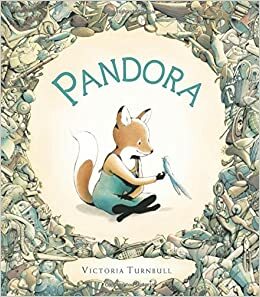 Summary: Pandora the fox lives by herself in a land of broken things, but she has a talent for fixing and repurposing them. One day, an injured bird falls into her world, and she sets about making it better. The two become friends, and the bird builds a nest near Pandora’s bed. Soon the bird is well enough to fly, and one day, it flies away and doesn’t return. Pandora thinks her heart will break; while she is lying in her bed, the reader can see a plant rising from the box that held the bird’s nest. The plant grows to cover the world outside Pandora’s house. One day it rouses her from her bed just in time to hear the sound of birdsong and to welcome her friend back to the land of living things. 32 pages; ages 4-8. 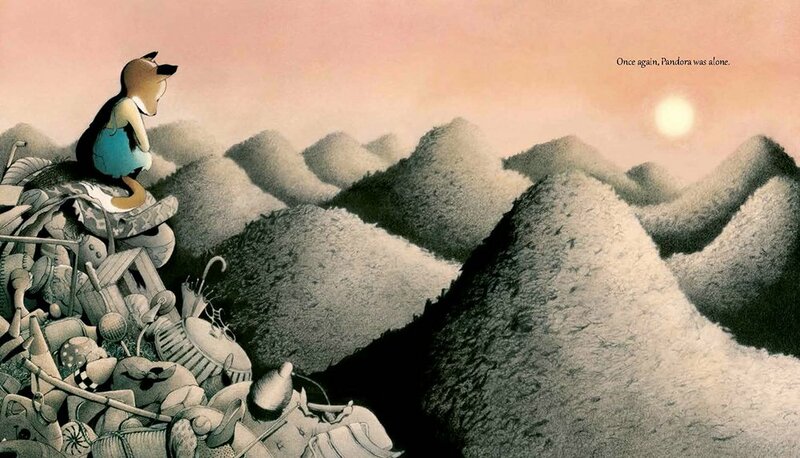 Pros: The spare text and evocative watercolor illustrations tell a moving and mysterious story that can be appreciated as both a tale of friendship and a fable about taking care of the environment. Cons: The story may be confusing to younger readers.